First Morris Sans application found — Blog — TypeOff. Linotype released my Morris Sans typeface about a year ago, but until a the day before yesterday, I hadn’t seen the fonts in use anywhere. Since I spend most of my time walking through the streets looking at letters anyway, I always held out a little beacon of hope that I might one day run into Morris Sans in the wild. On my way to Dunkin’ Donuts two days ago, I stepped into a rather enormous tourist book shop on Berlin’s Unter den Linden. After spending a few minutes looking at a model reconstructing the historic city center that was sitting in the back of the shop, I made my way for the exit. That is when this book cover caught my eye. 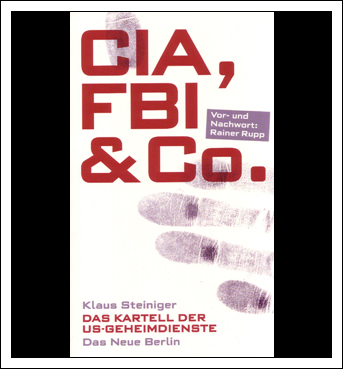 The title is FBI, CIA & Co., and it was written by Klaus Steiniger and published by Das neue Berlin, 2008. Since it was the first time I’d ever seen Morris Sans in use, I bought a copy of the book straight away. I think that it was about 15 euros, or about one-third of what one weight of the family costs to license. I’m also afraid to say that I didn’t read any of the book before I paid for it, and I can’t agree with all of the author’s politics, or even that this book is my typical historical reading fare. But I’m still a bit giddy about the design nonetheless. 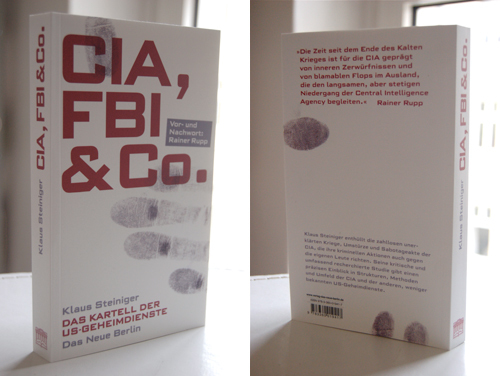 Photos of the front cover, spine, and back cover. 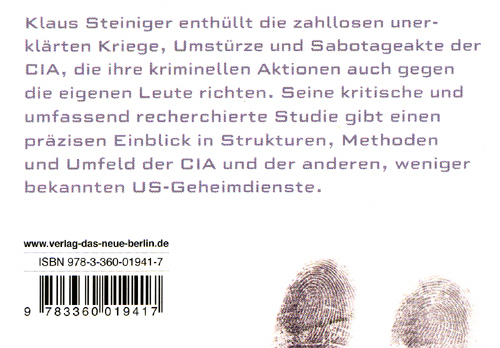 Close-up of the top text on the back cover. 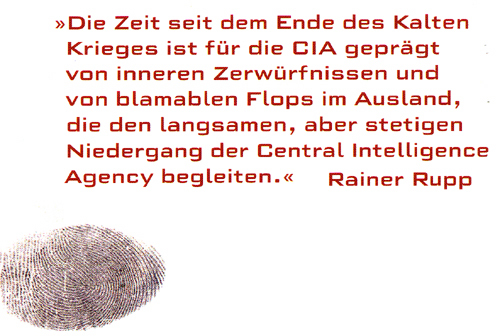 Close-up of the bottom text on the back cover.